The DTPMP production is featured as simple. The reaction starts under proper temperature after 3 main raw materials are put into the reactor. They are diethylenetriamine (DETA), phosphorus acid and formaldehyde. No waste gas, solid and sewage generate during the production. DTPMP is a routine water quality stabilizer with excellence in inhibiting corrosion and scale. It is effective in inhibiting the precipitation of carbonate (especially BaSO4), sulfate (CaSO4, MgSO4) and phosphate (CaPO4, MgPO4), even without any dispersant. 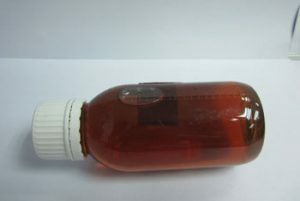 Its performance in high pH situation is better than any other organophosphonate, particularly in cleaning sulphate scales. No extra pH adjustment is needed. Its tolerance to high temperature is also good. 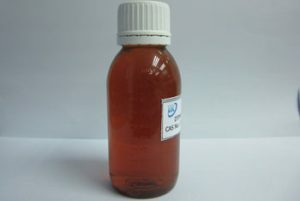 Besides, DTPMP is a multidentate chelating agent and a stabilizer of hydrogen peroxide. 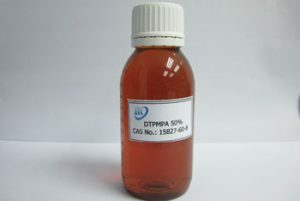 The main application for DTPMPA is as antiscalant, corrosion inhibitors and/or sequestrant in cooling water system, boiler, oilfield refilling system etc. In alkali condition (pH 10-11), the recommended dosage is 3mg/L. 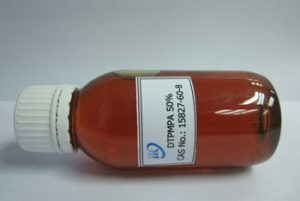 DTPMPA is also used in dyeing industry as peroxide stabilizer with a higher dosage of 20-50mg/L. A detergent in the daily chemical industry is another application. The market price is changing all the time. Missed us, missed chance.